Reviewing an album from San Francisco’s Scott Hansen, otherwise known as Tycho, can be a difficult task. Not because his records don’t spark an interest or emotion in me, quite the opposite in fact, but trying to compare Tycho to much of today’s music is a stretch at best. I’m not placing Hansen on some sort of gold-plated musical pedestal, because his albums are not perfect, nobody’s are, but what is unique about Tycho is the way in which the music feels more like an audible piece of art than a band recording a piece of music in a studio and pressing it to vinyl. There’s a warmth and vibrance to Dive that is unrivaled, but more importantly, and why this is album is undeniably important, is its ability to tell a story without words. 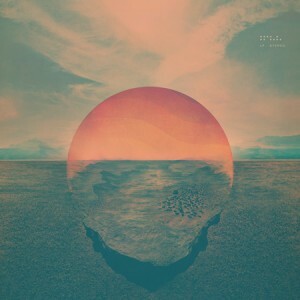 Say what you will about Tycho, maybe you’re not a fan or maybe you’ve never even heard of him, but Dive is one of those transcendental records that should appeal to anybody with a rooting interest in independent music. Hansen displays the unique ability to capture a scene and a raw emotion with just sound, a task that more than a few band bands try, and usually fail, at accomplishing. “Coastal Brake” might be one Dive’s best example of this; an upbeat mix of high-pitched synthesizers and hissing filters. The track will immediately transport a listener to another world – and one not completely disassociated to a green one – through its use of blending the various instruments into a soft mix of tropical soundscapes and meditative rhythm. Dive’s album art says a lot about the record as well. 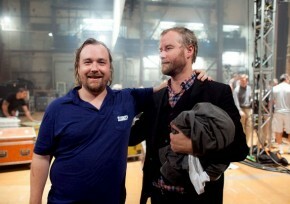 The painting of what appears to a sun setting into an ocean or a mountainous region, the two bodies nearly blend together beneath a hazy sky, is the sort of transmorphic sound that Hansen plays with on most of the album. He can shift from a barrage of keyboards, synthesizers, and drum machines to an acoustic guitar at the drop of a hat, all while sounding completely cohesive on both a track and album level. From “A Walk” to “Elegy,” Hansen contains within the album a spirit and liveliness which is translated through the listener on their own terms. Tycho isn’t about documenting a certain moment, inside joke, or place, it’s about giving the listener the tools to create those things on their own terms. Think of it as the race track play rug to your totally badass collection of hot wheels when you were a kid; Dive is the essential device for sparking imagination. It’s certainly not without fault though, as Dive does underwhelm in certain situations. There are moments on “Ascension” or “Adrift” where a sort of grand crescendo would have been more useful than a repeat of a nearly identical pattern for another three minutes. As is, those tracks help maintain that mesmerizing quality about the record, but at the same time, there are moments when Hansen seems to be holding back, a frustrating but seemingly necessary characteristic of Tycho’s distinct music. Ultimately, Dive is a tough record to assign a score to, because you’re only going to out of it what you put into it. If you’re looking for booming singles and dance-worthy tracks just because most of Tycho’s music is built electronically, you’ve come to the wrong place. But if you’re willing to put in the three quarters of an hour that it takes to finish the album, and you’re able to free your mind of any forgone conclusions or suppositions you have, Dive could easily be your favorite record this year. Narrative beauty and endless energy is abound, but you’re going to have to play make believe to find out.